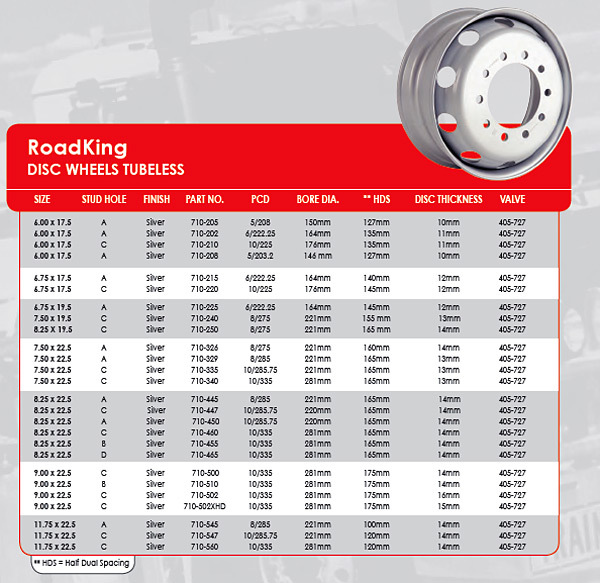 RoadKing steel disc truck wheels are the number one choice in disc wheels, for major fleet owners Australia wide. RoadKing steel disc wheels or stud type truck wheels deliver quality and reliability in all road conditions. Key qualities include strength, durability, ease of fitment, payload capacity and reliable service, backed up by Mullins Australia wide warranty.